Call us, 801-975-9422, 24 hours a day, 7 days a week. Evans and Sons Auto & Towing, is a family owned and operated towing company offering caring and professional 24-hour vehicle towing services to Salt Lake City, and the surrounding areas. We will give you cash for your junker. Cash for cars in Salt Lake City, Utah on the spot! 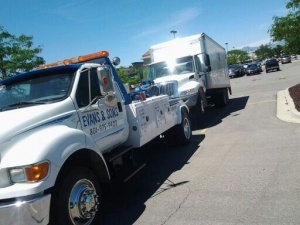 For over 10 years, Evans and Sons Auto & Towing have provided trained tow truck drivers and fast towing services to meet car towing and vehicle removal needs in Salt Lake City and throughout Utah. When you’re in an emergency situation and need a tow truck, it’s hard to know who to trust. 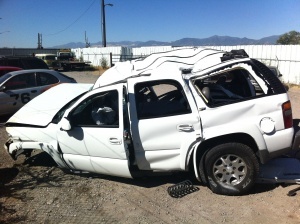 An untrained tow truck operator can easily damage your vehicle through poor handling and lack of skills. And, since most of us rely on our car or truck for transportation, finding a Utah tow company that you can rely on can be a daunting task. Among Utah car towing companies, you’ll find that Evans and Sons Auto and Towing stands above the rest. Our tow truck drivers are certified, experienced, professional, and dependable. Each of our tow truck company driver’s holds a Utah license, maintains an excellent safety record and has passed our extensive background checks and drug screening. Additionally, you’ll find our tow trucks are immaculately maintained, and appropriate to your towing needs, large or small. Each tow truck is fully equipped to handle dead battery, jump starts, accident or off-road recovery, or safely towing your vehicle out of snow or mud. Most important, Evans and Sons Auto & Towing will treat you, and your vehicle, with the utmost professionalism, care and respect throughout the entire process. 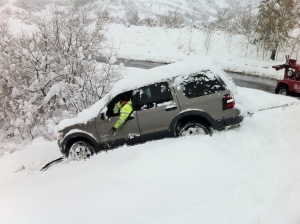 Call Evans and Sons Auto & Towing at (801) 975-9422 for all your roadside emergency service and vehicle towing needs.